A divine statue of Laxmi Ganesh and Saraswati that looks classy and antique. 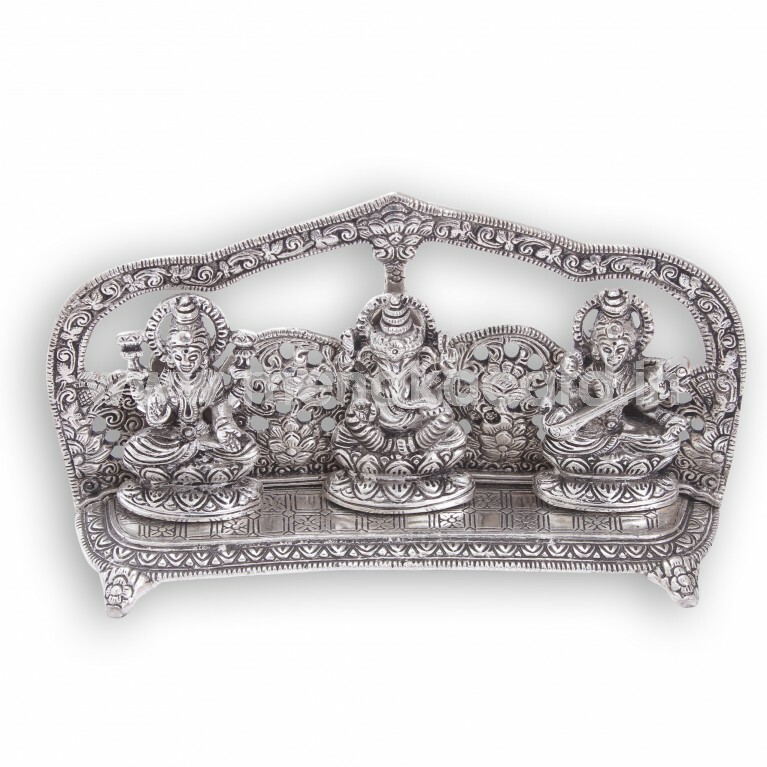 This beautiful white metal showpiece will surely increase the aura of your home temple. Adding more to it is the fact that its not merely for religious purpose as it can be used as a home décor item and can be given as a gift to the ones you love.